Adrian Tomine had been publishing his acclaimed graphic novel series “Optic Nerve” for over 15 years when he finally answered calls from his fans to create a work that featured an Asian-American lead character. But his response was not what some readers were expecting. “Shortcomings,” a 2007 New York Times Notable Book, features protagonist Ben Tanaka, a prickly 30-year-old movie theater manager with a penchant for blond women. After leaving a local Asian-American film festival, Tanaka complains to his girlfriend about the mediocre movie he just endured. “I mean why does everything have to be some big 'statement' about race? Don’t any of these people just want to see a movie that’s good?” Tanaka says. 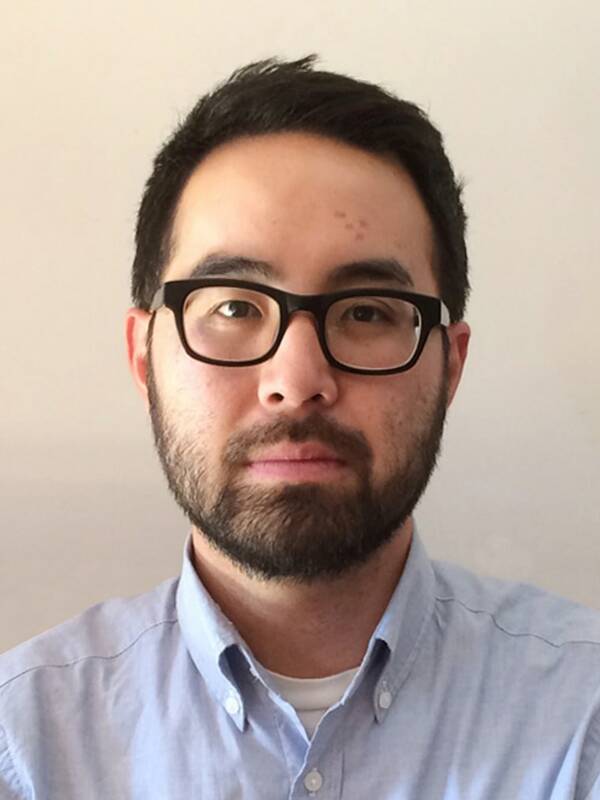 In an interview with NBC News, Tomine, a fourth-generation Japanese-American cartoonist from Northern California said he favored storytelling over proclamations about identity politics in his two decade-long career. “I started my career so early and developed in print for better or for worse, so I think there’s a sense some of my earliest readers are kind of copilots on this voyage with me." Tomine, who released his latest collection of comics on Oct. 6 and regularly contributes to The New Yorker, always knew he wanted to be a cartoonist. As a child, he was a fan of superhero comics, and at 12 he shifted his interest to what he describes as "alternative, underground" comics that told life-like stories. “Fortunately, I discovered a whole different type of cartooning that was happening…There was more of a clear focus on real life human interaction and that really appealed to me,” he said. His early comics mimicked this style. The 41-year-old Tomine said that he would observe something during the day, go home at night, and pen a comic strip about it. At 16, he started self-publishing his work, making photocopies at Kinkos, and selling the series on consignment at comic shops in Sacramento, Calif., where he lived during his high school years. By the time he was an English major at the University of California, Berkeley in the mid '90s, “Optic Nerve” was being published by Montreal-based publishing company Drawn and Quarterly. 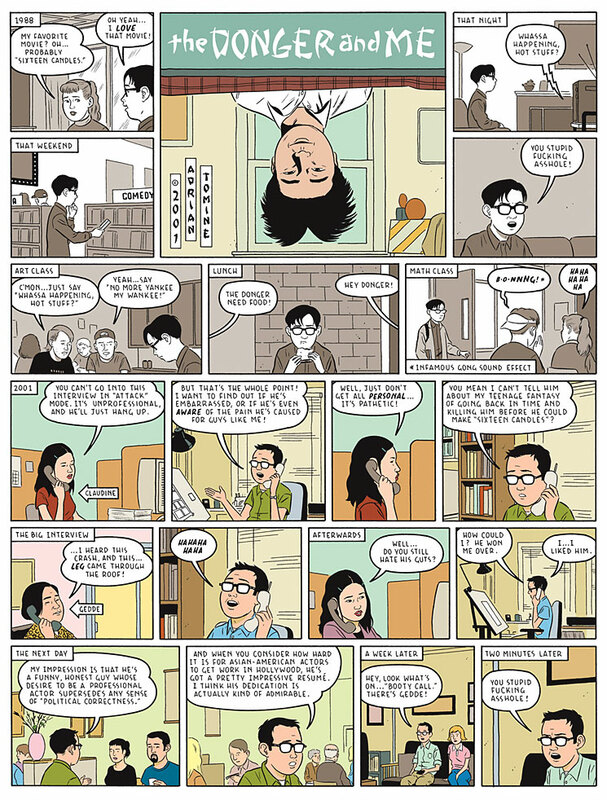 While he generally veered away from Asian-American issues in his early work, in 2001 Tomine produced a one-page comic strip based on his attempts to confront Gedde Watanabe, the actor who played Long Duk Dong in the 1984 film “Sixteen Candles.” Tomine was frustrated with stereotypical Asian characters often appearing in movies — Dong being an example. Publishing for over two decades now, Tomine acknowledges that he has grown up through the pages of his comic series. “I started my career so early and developed in print for better or for worse, so I think there’s a sense some of my earliest readers are kind of copilots on this voyage with me,” he said. Tomine’s most recent work, “Killing and Dying,” focuses on parenthood and older characters dealing with life’s disappointments. In the title comic, Tomine, a father of two young girls, tells the story of a family, their teen daughter trying to become a stand-up comedian — a story, Tomine said, he approaches through his own unique perspective. “A lot of the bigger dramatic things have been so widely covered and turned into clichés in other media, and so for me, I really wanted to avoid some of those landmines," he said.